Designed to keep little ones dry on outdoor adventures, the Original Little Kids Poncho is soft and lightweight with an oversized fit so your mini adventurers can run, jump, and climb to their hearts content. 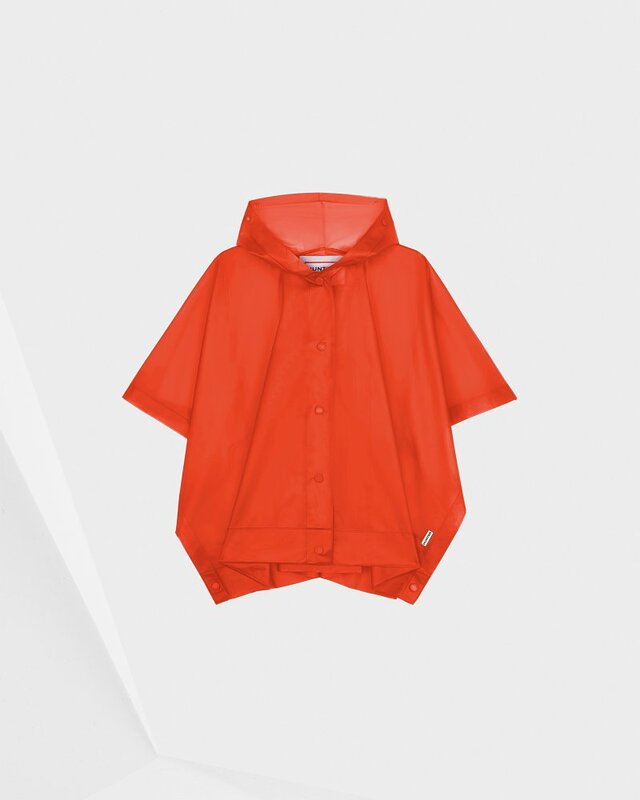 This kids poncho in fiery orange is fully waterproof with welded seams and a side closure with easy press studs. Added protection comes from snaps on the hood to adjust fit and shield from wind and rain. Rated 2 out of 5 by Anonymous from The poncho wasn't liked by my son, material was not nice and expensive for what it was. We returned it.